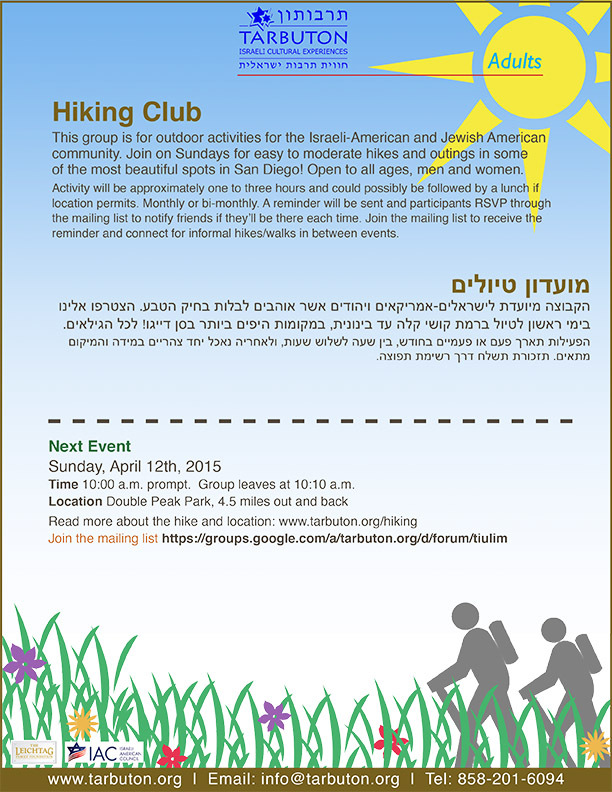 This group is for outdoor activities for the Israeli-American and Jewish American community. Join on Sundays for easy to moderate hikes and outings in some of the most beautiful spots in San Diego. Open to all ages, men and women, meeting once a month. Activity will be approximately one to three hours and may be followed by lunch if location and time permits.